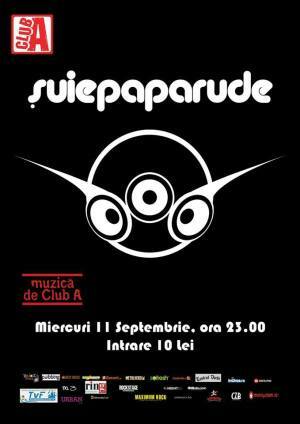 Concert and party in Bucharest with Suie Paparude. Discover one of the most iconic bands of Bucharest and Romania. "Suie Paparude Live! @ Club A" Concert in Bucharest. You can get here description, reviews, address, time and details of "Suie Paparude Live! @ Club A" Concert in Bucharest. Visit Bucharest Tips for more Concert events in Bucharest!